When you’re three inches tall like my pal Moonie, you like short things. 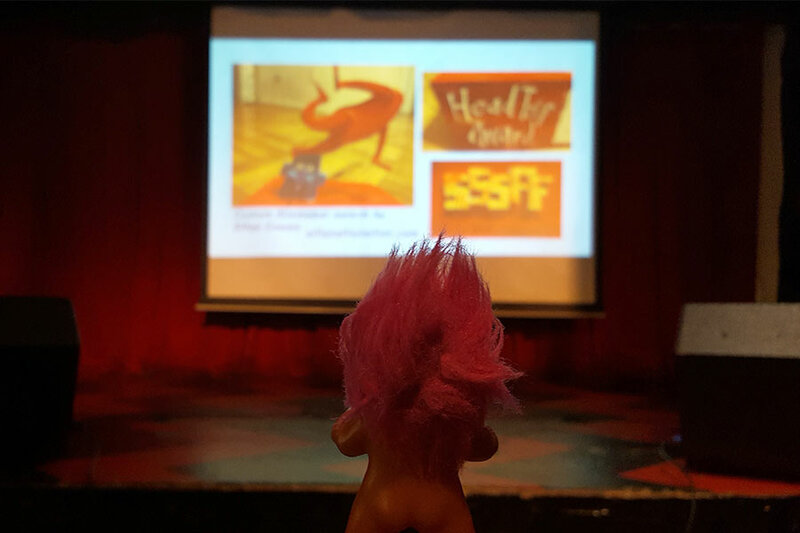 So Moonie is a really big (but really little, too) fan of the Short Short Story Film Festival, which just celebrated its tenth year this past week. 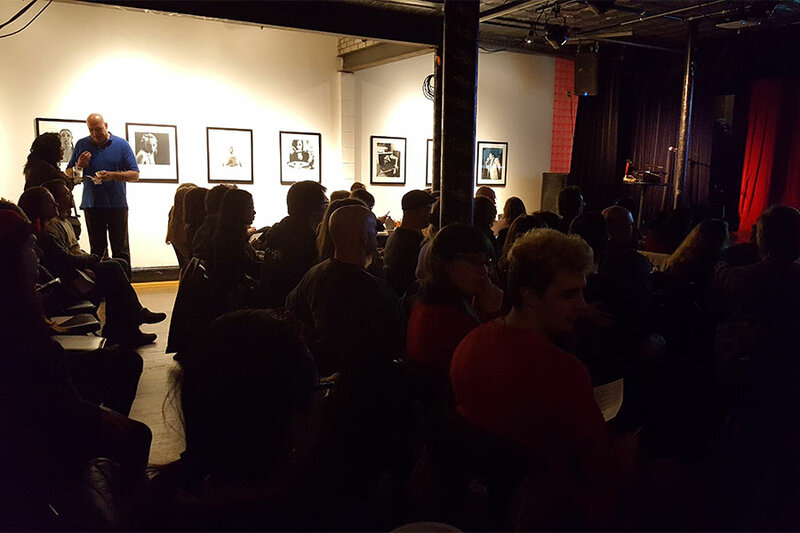 The festival, consisting of two different programs of 17 films each, attracts filmmakers from all around the world as well as superstar folks in the film business to serve on the jury. The resulting films are funny or cute or sad or beautiful or disturbing – but all have one thing in common: a length of six minutes or less. All the hard work is done by Merging Arts Productions, run by Toni Pennacchia and Paul Elsnau. 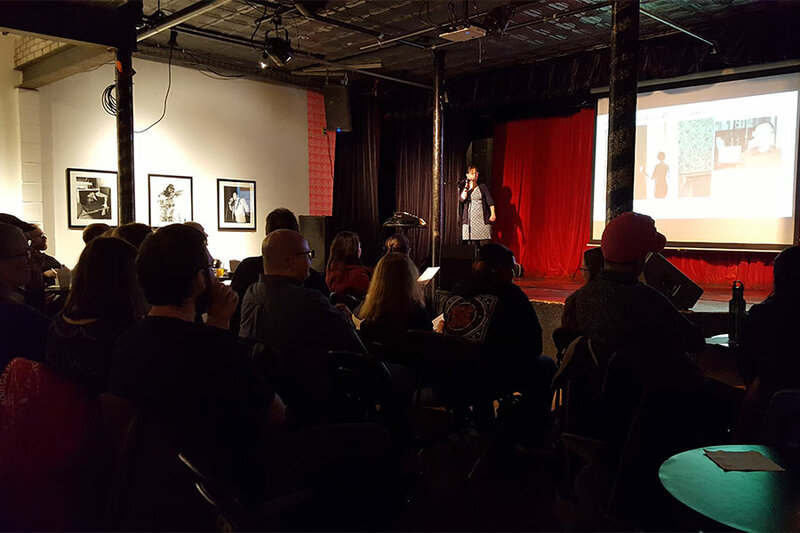 We joined dozens of people last week at AS220 to enjoy the festival. Toni, who doubles as a world music DJ named Madame B, spun tunes in between the programs. Moonie tried to worm his way up front, but people had to ask him to crouch down. His punk-rocker pink hair was too tall. But he was pretty happy with the seat he took. Everyone seemed pretty happy that night, with 34 interesting films to watch and DJ Madame B to pump up the crowd. 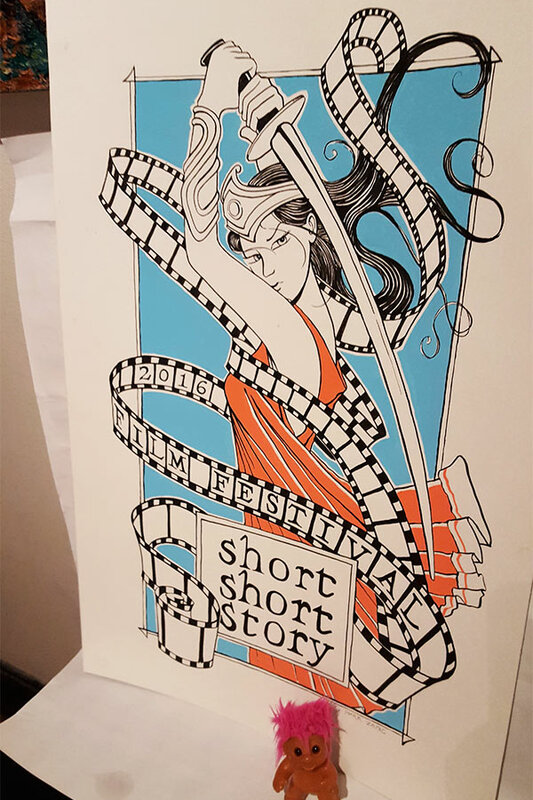 This year’s Short Short Story Film Festival was extra special. For its 10th anniversary, the founders arranged a spread of food for a reception, and artist Mark Zajac made a special limited edition poster just for the occasion. “So cool!” Moonie said of the poster. And the 34 different movies. And the music pumped between programs. And the food and popcorn. Good job, people at Merging Arts; you made this little dude happy once again.